The upfront insurance premium charged on FHA-insured mortgages for home purchases will increase from 1 percent to 1.75 percent on April 9, and the annual FHA mortgage insurance premiums will rise by one-tenth of a percentage point. All Inclusive Trust Deeds were big in the 80s and 90s. They are starting to see a resurgence today. Bbut there are some major downsides to AITDs that you should be aware of. Here’s a little background on it. In the 80s interest rates reached incredible highs up to 18%. It was so expensive to get a loan that many buyers and sellers found a way to work around the high interest rates. The buyer would take on the seller’s loan (which was at a much lower rate) and then they would get a second loan to cover the difference between the 1st mortgage and the sales price. The 2nd loan was wrapped around the first hence the term “wraparound mortage” or AITD. The title would transfer to the buyer, but the seller would remain on the first loan; the buyer would just make the payments. In the 90s, banks responded by including a “due on sale” clause in their loan documents. This clause stipulated that if there was a transfer of title, the bank would have the right to “call” the loan or in other words, require the borrower to pay the loan in full. In the past several years, interest rates have been so low that there hasn’t been a need for buyers to do a wraparound mortgage. However, today we have more and more sellers who are underwater. They don’t want to short sale, but they don’t want to continue to make huge mortgage payments either when they have lost so much equity in the property. Voila, the return of the AITD. A buyer can come in and take over the current loan. Again, the title is transferred but the seller remains on the mortgage. It sounds like a win-win for everyone. But so many things can go wrong. The buyer may decide he doesn’t want to make any more payments. The seller then is on the hook for the mortgage and he doesn’t even own the house any more. Or the lender could do a random check (which they do) and notice that there is a change in title. The “due on sale” clause kicks in. The bank can decide to call the loan. The bank will come after the seller for the money, and ultimately the the bank can foreclose on the property. An AITD sounds like a great way for a seller to remove himself from a mess, but if anything goes wrong, and there are so many different scenarios not discussed here, that I would recommend to stay far away from AITDs. If you do consider one, please consult an attorney. Congress just passed, and the President signed, legislation that extended the loan limits for Fannie, Freddie, and FHA. 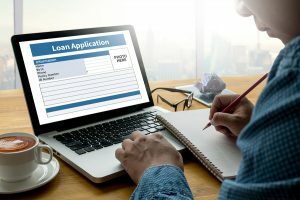 Conforming loan limits will remain at $729,750 through September 30, 2011.